Salvation And Survival: Bible Illiteracy: We Should Be Ashamed! 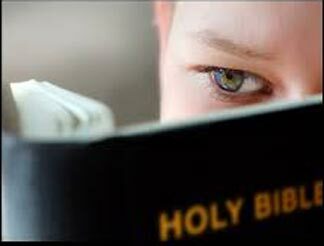 Bible Illiteracy: We Should Be Ashamed! How many of the Ten Commandments can you name? How many tribes made up the nation of Israel? Who was the Patriarch who fathered the twelve tribes? If you can answer these questions ... or any one of them ... then you are in the minority of Americans who call themselves Christians. And you're, for darned sure, a freak of nature to those in the secular population. In my opinion, the sad state of Bible illiteracy in our country, has contributed to the lack of moral absolutes, and a society that is without (or not concerned with) any moral standards at all. Furthermore, we have raised generations with no understanding of what the Bible teaches, or no interest in identifying right from wrong... it's all relevant! Albert Mohler, who is the President of the Southern Baptist Theological Seminary, says it way better than I can express it. While America’s evangelical Christians are rightly concerned about the secular worldview’s rejection of biblical Christianity, we ought to give some urgent attention to a problem much closer to home – biblical illiteracy in the church. This scandalous problem is our own, and it’s up to us to fix it. Researchers George Gallup and Jim Castelli put the problem squarely: 'Americans revere the Bible – but, by and large, they don’t read it. And because they don’t read it, they have become a nation of biblical illiterates.' How bad is it? Researchers tell us that it’s worse than most could imagine. Fewer than half of all adults can name the four gospels. Many Christians cannot identify more than two or three of the disciples. According to data from the Barna Research Group, 60 percent of Americans can’t name even five of the Ten Commandments. 'No wonder people break the Ten Commandments all the time. They don’t know what they are,' said George Barna, president of the firm. How many of you can identify with these situations in your churches: Jesus's compassion for His creation has been interpreted as tolerance for everything from abortion to homosexuality, while ignoring His specific commandments against both. In fact, Albert Mohler addresses this very topic. He says, "How can a generation be biblically shaped in its understanding of human sexuality when it believes Sodom and Gomorrah to be a married couple? No wonder Christians show a growing tendency to compromise on the issue of homosexuality." And how many attendees are in the Bible study classes at your church? Or is the congregation comfortable with simply receiving a verse or two during the 20-minute sermon section of the choreographed worship service? The sad thing is that oftentimes those verses are taken out of context. How many times have you heard "Pride goes before the fall" in a sermon? But there is much more to God's proffered wisdom than this abbreviated version. Scripture actually reads, "Pride goes before destruction, a haughty spirit before a fall." See how much deeper is the knowledge that God wants us to glean? He wants us to know that Pride is a spiritual problem; a stronghold of the devil that infects our spirits and can lead to destruction and a fall from grace. And how many Youth ministries are asked to fix problems, provide entertainment, and keep kids busy? How many local-church youth programs actually produce substantial Bible knowledge in young people? Or are Vacation Bible School and Friday night gatherings centered around pizza parties, movies, and games? How can we be faithful disciples and spread the Master's message when we don't know what's in the instruction manual? Frankly, I do not believe that we are to depend on the Pastor to dispense the Word (or to interpret it for you). It's always been about a one-on-one communication and a personal encounter with our God. That happens best when we are immersed in His Word. I was blown away by the following statement from Dr. Mohler: We will not believe more than we know, and we will not live higher than our beliefs. Please read that again! He goes on to say, "The many fronts of Christian compromise in this generation can be directly traced to biblical illiteracy in the pews and the absence of biblical preaching and teaching in our homes and churches. This generation must get deadly serious about the problem of biblical illiteracy, or a frighteningly large number of Americans – Christians included – will go on thinking that Sodom and Gomorrah lived happily ever after." So, what are we going to do about it? Are we devoting as much of our time to reading and studying the Bible as we are engaging with Facebook, watching TV and movies, or being buried in our phones? How about even a portion of that time? And I'm talking to all those who call themselves Christians! Because if you are lacking in this area, do you even know enough to be a faithful disciple? It is time to get back to seeking the wisdom and the spiritual connections to our Bibles -- in our homes, our churches, our communities, and our nation. Repent and ask, in Jesus's Name, for an increased desire and hunger for the Word. The time is critical! Perhaps a little light in the Bible illiteracy darkness.....I am a grandma who homeschools two of her granddaughters twice a week in language arts - a subject they aren’t really excited about, to say the least, (except for reading - they love reading). I also homeschool those two granddaughters and two of their cousins twice a week - class? Bible. They love Bible class. Class meets only twice a week, but we all read the Bible daily. At only one chapter a day, we have read Matthew, Mark, Luke, and John three times each. We’ve already Esther, Ruth, and Acts twice each. We’re just finishing up Psalms. I decided to give the kids the choice of what we read next. They picked Proverbs, Isaiah, Daniel, Titus, and Revelation. The kids are 12, 13, 14, and 15, three girls and a boy. They can tell you that it’s Revelation -not Revelations. They can also tell you the12 disciples - though they would sing it to you (at the top of their voices). I’ve taught them a little American Sign Language, so we open class signing Psalm 119:105 and close class with Psalm 19:14. We have so much fun together studying God’s word. And yes, fun and studying God’s word can go together. Thank you so much for your daily inspiration and challenge. Bless you, Grandma! I love hearing stories such as yours... and I know that there is a remnant of Believers out there who are following in the footsteps of Jesus and make free will choices to live righteous lives, spread the Good News, and abide in the Word. Thank you for sharing your story!